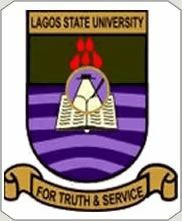 Lagos State University, LASU matriculation ceremony details for 2017/2018 academic session has been released. The management released the statement on the matriculation of newly-admitted students into the University. All students in 100 who have just been admitted are hereby informed. All affected students are also informed that Wednesday, 7th February, 2018, has been declared the day for the matriculation ceremony. Below is the order of events and how to get your matriculation gown. DATE: Wednesday, 7th February, 2018. LASU MATRICULATION GOWN COLLECTION PROCEDURE. In view of the above, newly admitted students are to pay a sum of *Two Thousand Five Hundred Naira (N2,500.00)* only for Matriculation Gown into Sterling Bank Third Party Account 0006594081 (LASU Branch) from Tuesday, 30th January, 2018. The bank teller should be used to obtain an official receipt at the Bursary Department. The receipt shall then be presented for collection of Matriculation Gown at their respective Faculty Office from Friday, 2nd February, 2018.Collection of gown ends on Tuesday, 6th February, 2018. The Matriculation Gown should be returned to the point of collection not later than 4.00p.m. on the day of Matriculation. Failure to return the Matriculation Gown as stated above shall attract penalty of Two Thousand, Five Hundred (N2,500.00) Naira per day. Also, all Matriculating Students are to entertain their guests at the Matriculation ground. On no account should any matriculating Student host/entertain the guests in any Faculty. Failure to comply with this directive may lead to forfeiture of provisional admission.